It’s been a couple of weeks since my last posts due to some work-related trips and changing jobs. Since last week, I am the new Science Editor at uBiome. 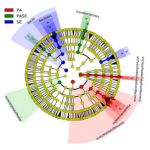 So here is a longish post to catch up with papers and news articles on microbes of the Built Environment. Bricks containing microbial fuel cells, as on display at the Venice Biennale, could one day heat our homes. Image courtesy of LIAR. 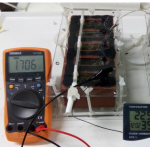 Inserting bacteria into bricks and concrete could help generate heat, circulate air and repair cracks, according to researchers who are designing innovative construction materials to transform bricks and mortar into living buildings with a reduced environmental footprint. Rachel Armstrong, professor of experimental architecture at Newcastle University, UK, says that she believes cities of the future will be powered by the natural biological processes of bacteria and will behave more like living organisms. 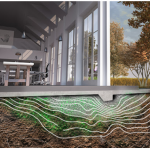 (…) Prof. Armstrong is coordinating the EU-funded LIAR project, which aims to harness the potential of the metabolic burning of living organisms for heating systems, replacing the burning of fossil fuels and dramatically cutting the carbon footprint of the buildings we live and work in. 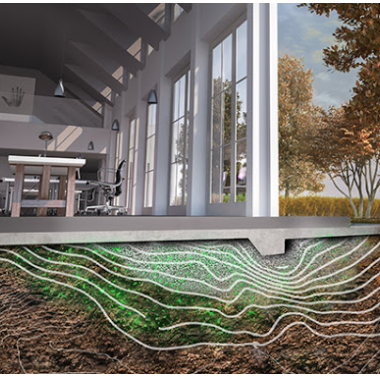 A team of scientists from Newcastle and Northumbria universities, led by architecture academic Dr Martyn Dade-Robertson, are investigating how they can create a new kind of material – biocement – where engineered cells react to changes in the environment and strengthen the soil around them. Their research is outlined in a paper which will be presented at the ACADIA conference, in Michigan, USA, this week. The team have identified dozens of genes in E. Coli bacteria which are regulated by pressures of 10atm (10 times that of sea level). Using this, they are modifying the bacteria to create a ‘gene circuit’ which would enable the bacteria to respond to their environment by producing ‘biocements’. The purpose of this study is to describe the epidemiological surveillance of microbiological sentinel events (SE) carried out between 2012-2014 at the Neurological Hospital Carlo Besta, Milano, Italy. The Setting is inpatient care with Multi- Drug-Resistance infections. (…) Preventive actions and their effectiveness on Acinetobacter baumanii, the primary cause in our division of MDR infections in 2012, has ensured a reduction of the incidence of the same; preventive actions and their effectiveness allowed us to intercept microbiological SE and trigger appropriate precautionary behaviour and isolation. Terminal disinfection and daily cleaning have been performed in hospitals in Taiwan for many years to reduce the risks of healthcare-associated infections. However, the effectiveness of these cleaning approaches and dynamic changes of surface microbiota upon cleaning remain unclear. 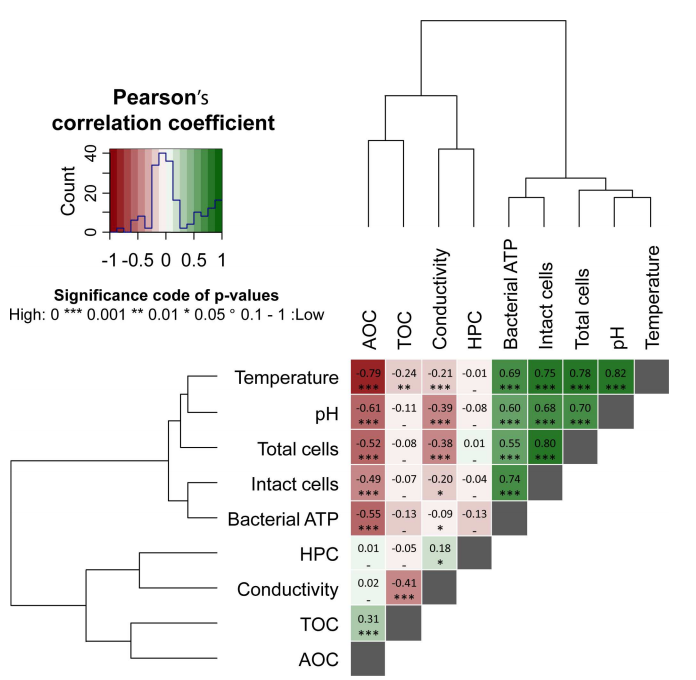 Here, we report the surface changes of bacterial communities with terminal disinfection and daily cleaning in a medical intensive care unit (MICU) and only terminal disinfection in a respiratory care center (RCC) using 16s ribosomal RNA (rRNA) metagenomics. (…) We concluded that cleaning changes might contribute to the difference in diversity between two wards. Ventilator-associated pneumonia (VAP) is one of the commonest hospital-acquired infections associated with high mortality. VAP pathogenesis is closely linked to organisms colonizing the endotracheal tube (ETT) such as Staphylococcus epidermidis and Pseudomonas aeruginosa, the former a common commensal with pathogenic potential and the latter a known VAP pathogen. However, recent gut microbiome studies show that pathogens rarely function alone. 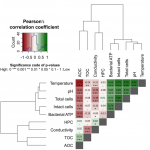 Hence, we determined the ETT microbial consortium co-colonizing with S. epidermidis or P. aeruginosa to understand its importance in the development of VAP and for patient prognosis. Using bacterial 16S rRNA and fungal ITS-II sequencing on ETT biomass showing presence of P. aeruginosa and/or S. epidermidis on culture, we found that presence of P. aeruginosa correlated inversely with patient survival and with bacterial species diversity. Virtually all biomaterials are susceptible to biofilm formation and, as a consequence, device-associated infection. The concept of an immobilized liquid surface, termed slippery liquid-infused porous surfaces (SLIPS), represents a new framework for creating a stable, dynamic, omniphobic surface that displays ultralow adhesion and limits bacterial biofilm formation. A widely used biomaterial in clinical care, expanded polytetrafluoroethylene (ePTFE), infused with various perfluorocarbon liquids generated SLIPS surfaces that exhibited a 99% reduction in S. aureus adhesion with preservation of macrophage viability, phagocytosis, and bactericidal function. 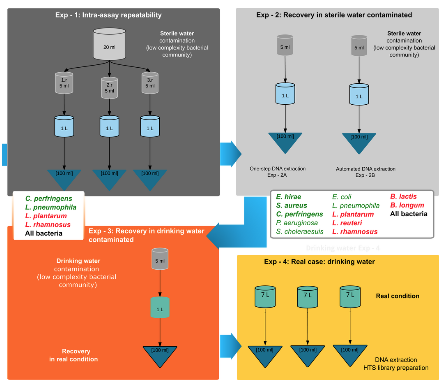 We propose an innovative, repeatable, and reliable experimental workflow to concentrate and detect environmental bacteria in drinking water using molecular techniques. We first concentrated bacteria in water samples using tangential flow filtration and then we evaluated two methods of environmental DNA extraction. We performed tests on both artificially contaminated water samples and real drinking water samples. The efficiency of the experimental workflow was measured through qPCR. The successful applicability of the high-throughput DNA sequencing (HTS) approach was demonstrated on drinking water samples. 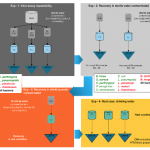 Temporal dynamics in bacterial community characteristics were investigated during a two-year drinking water monitoring campaign in a full-scale distribution system operating without detectable disinfectant residual. A total of 368 water samples were collected on a biweekly basis at the water treatment plant (WTP) effluent and at one fixed location in the drinking water distribution network (NET). The samples were analysed for heterotrophic plate counts (HPC), Aeromonas plate counts, adenosine-tri-phosphate (ATP) concentrations, and flow cytometric (FCM) total and intact cell counts (TCC, ICC), water temperature, pH, conductivity, total organic carbon (TOC) and assimilable organic carbon (AOC). The current study assessed the drinkability of water in 25 schools in Cruz das Almas BA Brazil. Total coliforms, Escherichia coli, Enterococcus, mesophylls and psichrotrophic bacteria were evaluated, coupled with color, turbidity, free residual chlorine, dissolved oxygen and biochemical oxygen demands. Water samples were collected at four sites: the first tap within the supply network or within the alternative supply (first site), main reservoir (second site), kitchen water (third site) and drinking water troughs (fourth site). (…) Results show that health risks in schools in Cruz das Almas may be solved by adequate water treatment, periodical cleaning of reservoirs and proper maintenance of taps and filters. nMDS ordination comparing bacterial assemblages collected in 10 study streams. The ecological dynamics of microplastic (<5 mm) are well documented in marine ecosystems, but the sources, abundance, and ecological role of microplastic in rivers are unknown and likely to be substantial. Microplastic fibers (e.g., synthetic fabrics) and pellets (e.g., abrasives in personal care products) are abundant in wastewater treatment plant (WWTP) effluent, and can serve as a point source of microplastic in rivers. 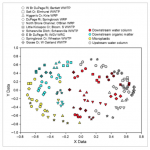 The buoyancy, hydrophobic surface, and long transport distance of microplastic make it a novel substrate for the selection and dispersal of unique microbial assemblages. 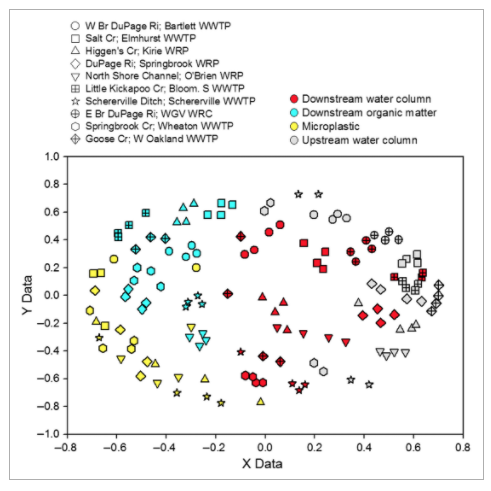 We measured microplastic concentration and bacterial assemblage composition on microplastic and natural surfaces upstream and downstream of WWTP effluent sites at nine rivers in Illinois, United States. 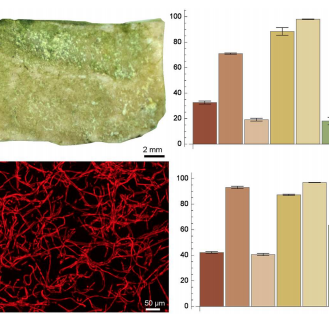 The potential impact of cyanobacteria and microalgae on the weathering of calcareous tesserae from a Roman mosaic of the II Century CE has been followed through in vitro experiments. 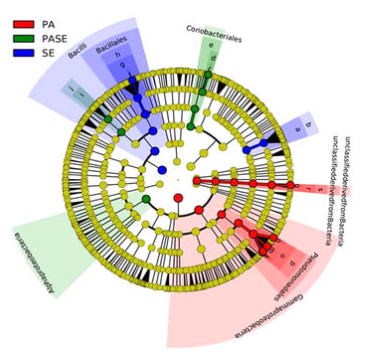 Laboratory tests were carried out by inoculating mosaic tiles with single strains of Cyanobacteria or Chlorophyta to evaluate the roles of pioneer phototrophic microrganism on the resulting architecture of biofilms. 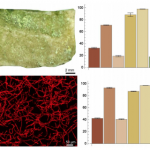 The interaction between tesserae and strains was assessed at the whole substratum and micrometer scales, by image analysis and Confocal Laser Scanning (CLS) microscopy, respectively.